The Army recently sent out a Request for Information (RFI) on how to best support the MQ-1C Gray Eagle Unmanned Aircraft System (UAS). The Gray Eagle is a critical part of the Army’s ISR strategy, and the massive amounts of satellite bandwidth required for its mission of intelligence, surveillance and reconnaissance means a high-throughput satellite solution is the best answer. IGC has been supporting the Army’s SATCOM needs since the first Gulf War. To continue to support the Army’s satellite needs, we have done careful analysis and determined that the Gray Eagle’s bandwidth objectives cannot be met with the traditional, wide-beam platforms currently in operation or systems like Inmarsat’s GX-GSB. 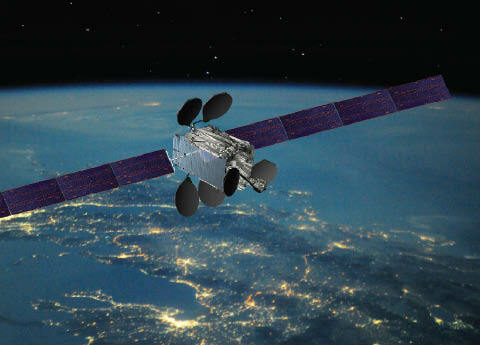 Beginning next year, Intelsat’s high-throughput satellites, the EpicNG series will be launched. This series incorporates spot beams in a high-performance fabric to deliver significantly more capacity per satellite, and throughput per unit of spectrum, while retaining the wide coverage of a traditional wide beam satellite. Unlike Inmarsat GX-GSB and other closed systems, EpicNG will deliver SATCOM data rates of up to 50 Mbps, without requiring any changes to the existing antenna/modem installed on the Gray Eagle platform. These capabilities are critical for the Army. Other HTS platforms might be able to deliver the required throughput in certain circumstances; however, these other systems are closed designs which restrict the choice of antenna/modem combinations and teleport-locations. Only Intelsat EpicNG allows the Army to maximally leverage the existing Ku-band antenna/modem infrastructure investments already made on the Gray Eagle. In many ways it’s like moving to a new operating system on your computer or phone – a dramatic boost in performance with just a software upgrade, no hardware changes required. And leveraging innovative, commercial industry technology that can work with existing Army infrastructure will support rapid implementation of critically-needed technology. An open architecture delivers additional benefits as well. It provides greater flexibility and resiliency by allowing for any-to-any beam connectivity with one-hop, unlike other Gateway-constrained star- topology-only HTS architectures. The Army could also support future-envisioned Split Operations from Sanctuary Gateways or Intelsat Teleports with dynamic re-configuration of network topologies. This technology advancement provides much greater network redundancy in the event of a cyber attack. Much needed, anti-jamming capabilities will also be greatly enhanced with Low-Probability of Intercept (LPI) and jamming-resilience on the Intelsat EpicNG satellites, even to non-hopping modems. Interference-mitigation capabilities like on-board power monitoring and notch filtering of interferers/unauthorized users as well as monitoring, re-routing, geo-location and identification of interferers means this high-throughput satellite capability will be prepared if and when Gray Eagle UAS’ are deployed in contested environments. To respond to the Army’s RFI and satellite demands overall, IGC will provide more bandwidth, more protection and more resiliency without the Army making any changes to the current ground equipment or UAS modem. That’s what EpicNG can deliver for the Gray Eagle, and other UAS systems. With new adversaries testing American superiority in space, this kind of performance boost is exactly what’s needed to ensure that the Army’s ISR remains second to none.